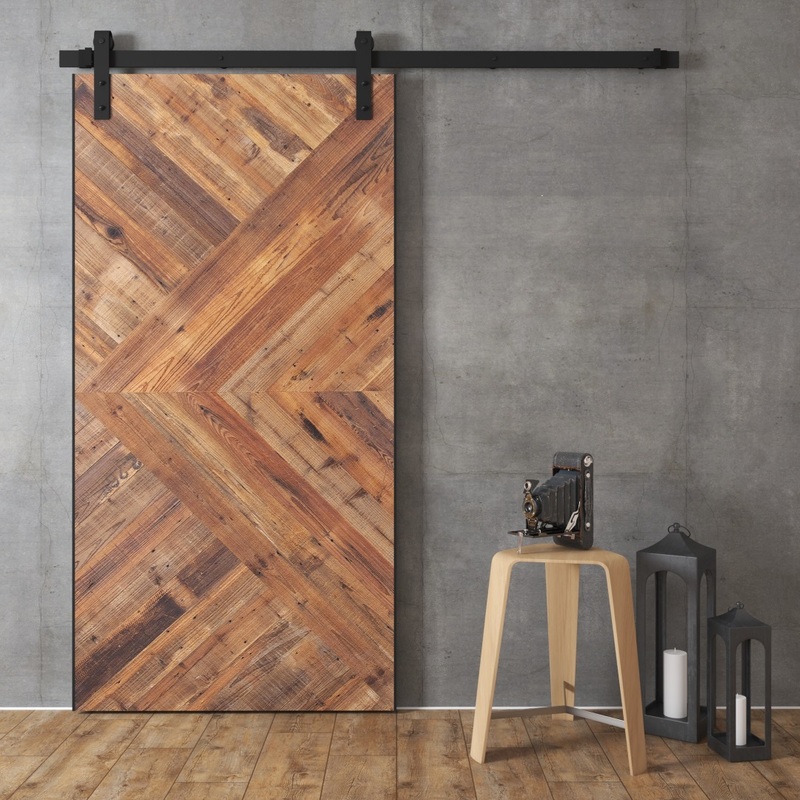 Archgard\'s design team has developed a large, high efficient wood insert that will convert your old, drafty, masonry built wood fireplace into a useful source of heat, using less wood, and offering improved outdoor air quality, due to lower emissions. Brockton Fireplace 47 (W) X 19 (D) X 41 (H) inches, Symphony electric fireplaces add a warm, relaxing feel to your home at the push of a button! no venting required A Symphony fireplace can be installed anywhere. Also Available in White, Cherry Finish & Medium Oak. 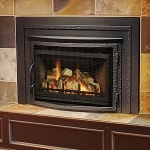 Walnut Mantle Fireplace 55 (W) X 18 (D) X 48 (H) inches, Symphony electric fireplaces add a warm, relaxing feel to your home at the push of a button! Easy Renovations. Whether you're renovating or concerned about the environment, the DV-3400 is the ideal solution for your home. Available in Regular And Corner Unit. 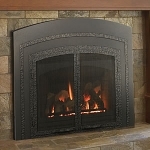 Oak Corner Mantel Fireplace 55 (W) X 32 (D) X 43 (H) inches, Symphony electric fireplaces add a warm, relaxing feel to your home at the push of a button! Osburn 1800 - Wood Stove Insert, 65,000 BTU/h. Heating capacity: 500 to 1,800 sq.ft. Adjustable handle. Self-cleaning glass system . 130 CMF blower . When size matters! The ODVI-22 can go where others can't. 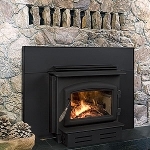 Its smaller dimensions and compact design make it perfect for converting your small masonry fireplace to the efficiency and convenience of gas. Exceptional Value. Fully-equipped with standard features that are options on most other brands, the ODV-3600 is the perfect gas fireplace for your family\'s home. 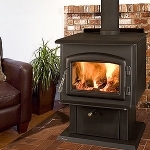 Osburn 2200 - Wood Stove, 75,000 BTU/h. Heating capacity: 500 to 2,000 sq.ft. Mobile home approved. Also Available in Gloss White. 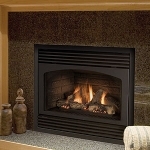 Gloss Black Mantel Fireplace 57 (W) X 20 (D) X 46 (H) inches, Symphony electric fireplaces add a warm, relaxing feel to your home at the push of a button! 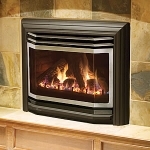 Osburn 2200 - Wood Stove Insert, 75,000 BTU/h. Heating capacity: 500 to 2,000 sq.ft. Adjustable handle. Self-cleaning glass system. 130 CMF blower. Denbury Burnished Walnut Mantel Fireplace 60 (W) X 19 (D) X 50 (H) inches, The groundbreaking Multi-Fire™ electric fireplace sets a new benchmark for realism and performance. Multi-Fire™ offers more useful features than any other fireplace. Also Available in Burnished Walnut Finish. White Mantel Fireplace 62.3\" x 49.4\" x 17.1\", Symphony electric fireplaces add a warm, relaxing feel to your home at the push of a button! Osburn 2400 - Wood Stove Insert. 100,000 BTU/h. Heating capacity: 800 to 2,700 sq.ft. Adjustable handle. Self-cleaning glass system. Heavy duty cast iron door.